NOW 30% off. 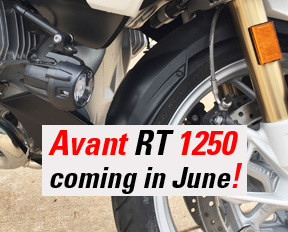 The AVANT fender extension for the R1200RT INSTALLS in 5 minutes WITHOUT DRILLING holes, adding width and 5.5" of extra length. 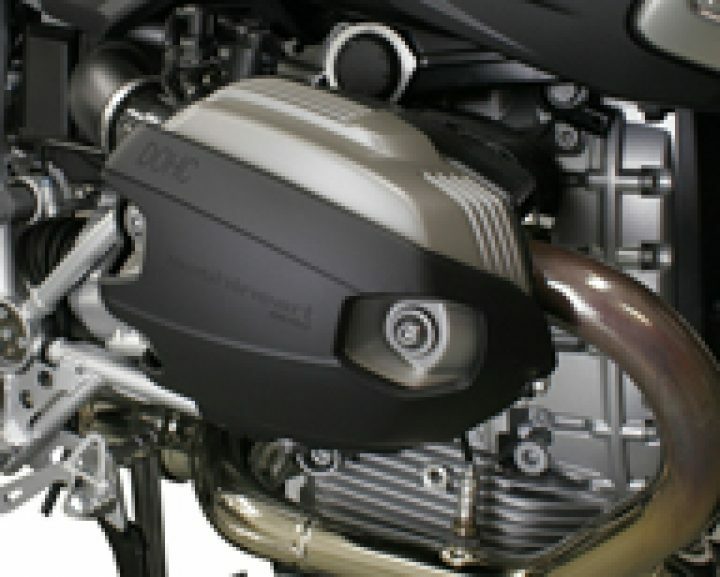 The design helps control mud, tar, & rock splash back onto your headers, crossover pipe and engine keeping them looking new longer and reducing maintenance. 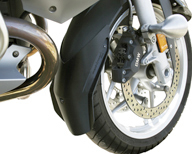 This patented design installs with three self-locking screw clamps that grip the fender underside for a secure fit. The shape provides wide coverage but does not look as wide as it is. Wide coverage is the key to effective function. Molded in resilient polypropylene, it is designed to complement the look of the stock fender and the bold design of the RT.